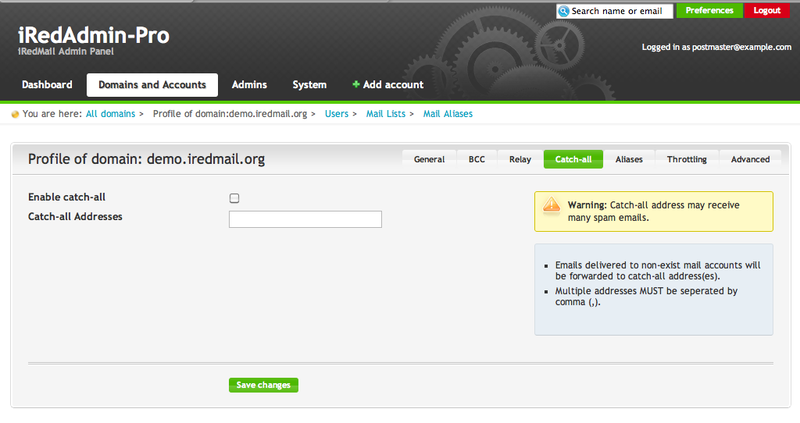 With default setting, iRedMail will reject emails sent to non-existing mail accounts under hosted mail domains. If you want to accept these emails, you need a per-domain catch-all account. With above catch-all account, emails sent to non-existing addresses will be forwarded to both user_1@example.com and user_2@example.com. NOTE: With iRedAdmin-Pro, you can manage catch-all account in domain profile directly. Screenshot attached.